High-scorers do not do SC on “feel.” It’s great if you read a sentence and you can sense something is “wrong” or “off” about it, but if you cannot pinpoint WHAT is wrong and WHY it is wrong, then you don’t know Sentence Correction as well as you think. Without writing down a GMAT reason, how do you know that the reason you are elimination Choice (A) is because of a GMAT error and not simply your own gut instinct? If you don’t record your impressions, you can learn nothing from them. Let’s say you’re taking a full-length practice test. There are 41 questions in the Verbal section. That’s a LOT of questions! Let’s say you missed Question #5 and it was a Sentence Correction. You go back to the problem a 2-3 hours after completing your practice test to review all your incorrect questions. You have some fuzzy memories of the specific question, but it’s been a few hours, and you did 36 questions after it, so of course you won’t recall it too distinctly. Therefore, you don’t really have anywhere to go. You can see you chose (D), but you don’t know why. How are you supposed to learn from the question? You read the official explanation, and some additional explanations from GMATPrep or Beat the GMAT, but they don’t tell you what YOU were thinking when you were working through the problem. Let’s say the correct answer was (E). You have no idea why you crossed it off. There is no record. So, how can you improve? We don’t have Predictions for SC. Sometimes students try to use symbols for their process of elimination. Symbols such as happy or sad faces and plus or minus signs are great tools to use for Reading Comprehension and Critical Reasoning answer choices, because we are comparing those answer choices to a pre-conceived idea, a prediction for what we think the correct answer will look like. But, sadly, in SC we have no idea what the correct sentence is going to look like! Maybe it will look like (A). Maybe it will look completely different from (A). This gives us a tiny bit more information about what we were thinking when we looked at each choice, but still not nearly enough. We aren’t thinking like the GMAT test-makers yet, because we aren’t “speaking” their language. They write answer choices to include these specific errors, so we need to be able to point out and name those specific errors. It’s the only way to achieve true Sentence Correction mastery. We have to think like the test-makers! • In (A), (B), and (C) was there really a Subject-Verb, Parallelism, and Modification issue? Did I recognize these errors correctly? What markers told me this error was present? Or did I miss the “real” error, and simply got lucky in my elimination? • In (D), was there a grammar or meaning error I could not spot that made this choice incorrect? If so, what was it, and why couldn’t I spot it? What were the markers that indicated it was being tested? If there was no grammar or meaning error, was the only issue with this sentence the wordiness, or was another “style” error present? • In (E), the correct choice, why did I invent a Parallelism error when no Parallelism error was present? What were the markers that made me think it was testing this concept, and WHY was the Parallelism actually okay? What do I need to remember about Parallelism so I can be more careful and not invent future Parallelism errors? You will not be able to do this type of self-analysis without the knowledge of what your thought process was as you were attempting the problem! 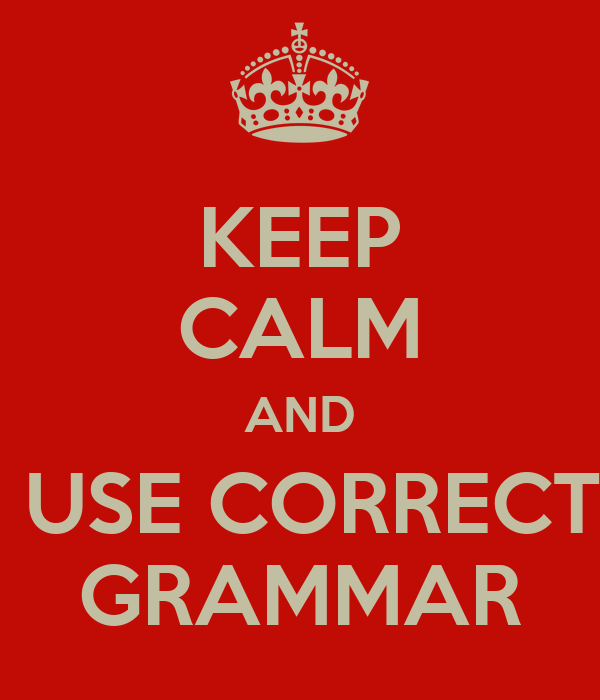 Just because you speak English, read English, and feel like you generally understand English, don’t be fooled into thinking you don’t need to use strategy for GMAT Sentence Correction! It’s incredibly important for your growth and betterment, and my mission is to help you do it! GMAT Quant: Question of the Day! Try Picking Numbers with the GMAT practice problem of the day! 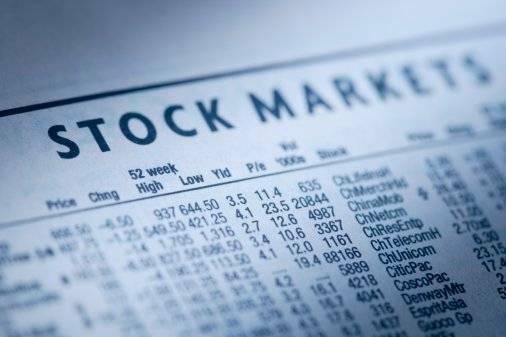 Last year the price per share of Stock X increased by k percent and the earnings per share of Stock X increased by m percent, where k is greater than m. By what percent did the ratio of price per share to earnings per share increase, in terms of k and m? The percent increase is approx 14%. D. 100 (15) / 100 + 5 = 1500/105 = approx 14. CORRECT! Learnist: 7 Ways to Make Studying for the GMAT Fun! (No, really!) Here’s how to dance, snack, and gamify your way to a 700+ GMAT score. In this video the MBA candidates of the Class of 2013 and Class of 2014 at the University of Southern California Marshall School of Business decided to do the Harlem Shake. And while you may not want to waste a precious study-hour making your own Harlem Shake dance-video with your GMAT study group (but by all means, please feel free to do so! ), you CAN and SHOULD use music as motivation while you study for the GMAT. If you’re someone who needs to have background noise as you study, assign a genre of music to each GMAT question-type. Planning to do 20 minutes of Sentence Correction? It’s Britney Spears and Katy Perry! Moving on to Data Sufficiency? It’s Macklemore-time. Check out Tips #2-7 on Learnist to learn more ways to make studying for the GMAT fun! Check out this new Learnboard with a step by step guide to conquering RC once and for all! You’ll want to know the RC questions in this book backwards, forwards, and upside down. Step 2 — Read The Economist, or other high-quality publications! The Economist is a weekly newspaper focusing on international politics and business news. Not only is its subject-matter right up GMAT’s alley, but its written in a more advanced vernacular than your average newspaper — a level matched by the GMAT RC. Fun fact: You can use your Delta Skymiles for a free subscription. 3,200 miles gives you 51 issues! For Steps 3 through 7, check out How to Destory GMAT Reading Comp (once and for all)! As someone who is about to shell out hundreds of dollars in MBA application fees, you know that money makes the GMAT-world go round. 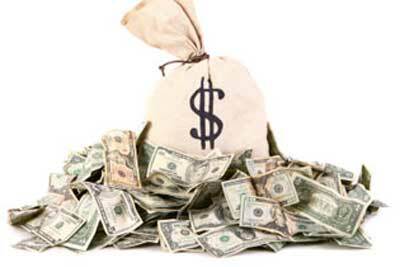 Profit is an essential concept for any aspiring MBA admissions applicant. The GMAT tests this concept in both Problem Solving and Data Sufficiency questions in three main ways. Let’s examine the need-to-know formulas with three GMAT practice questions. 1. A firm increases its revenues by 10% between 2008 and 2009. The firm’s costs increase by 8% during this same time. What is the firm’s percent increase in profits over this period, if profits are defined as revenues minus costs? (1) The firm’s initial profit is $200,000. (2) The firm’s initial revenues are 1.5 times its initial costs. Using Statement (1), we can say that 200,000 = R – C.
(1.1)r – (1.08)c = 200,000(1 + x), where x equals the amount of the increase. We still do not know R and C so we can’t find x. Insufficient. Using Statement (2), 1.5c – c = p and (1.1)(1.5)c – (1.08)c = (1 + x)P. Here we can simplify. Without continuing to solve, we can see that we can solve for x using substitution. .57c = (1 + x)(.5c), and dividing both sides by c will cancel out that variable and allow us to isolate x. Statement 2 is sufficient. Now to a more challenging question! 2. A store purchased 20 coats that each cost an equal amount and then sold each of the 20 coats at an equal price. What was the stores gross profit on the 20 coats? (1) If the selling price per coat had been twice as much, the store’s gross profit on the 20 coats would have been $2400. (2) If the selling price per coat had been $2 more, the store’s gross profit on the 20 coats would have been $440. This GMAT Prep question asks about gross profit. For the value Data Sufficiency question, we need to know the price of each coat and the selling price of each coat. From the given information, we can use our known formula to set us the equation: P = 20 (s – c). So either we’ll need a value for s and a value for c, or we’ll need the value of (s – c). Statement (1) tells us that $2400 = (20(2s – c)) or 2400 = 40s – 20c. We can divide both sides by 20 and simplify it to: 120 = 2s – c. We still don’t know s and c. Insufficient. Statement (2) tells us that 440 = 20(s + 2 – c). Let’s simplify: 440 = 20s + 40 – 20c. 400 = 20s – 20c. 400 = 20 (s – c). 20 = s – c. Sufficient. Even though we didn’t solve for s and c separately, we were able to find the value of (s – c). Sometimes DS will surprise you! 3. If the cost price of 20 articles is equal to the selling price of 25 articles, what is the % profit or loss made by the merchant? The question asks about % profit or loss. It tells us that 20c = 25s, or 4c = 5s. So the ratio of the sales price to the cost price is 4/5. P/L% = -20%. The answer is a 20% loss. Confused about how “those” works on the SAT, ACT, GRE, or GMAT? Let’s take a look at a question from Manhattan GMAT that uses this word! Salt deposits and moisture threaten to destroy the Mohenjo-Daro excavation in Pakistan, the site of an ancient civilization that flourished at the same time as the civilizations in the Nile delta and the river valleys of Tigris and Euphrates. In general, “those” is the plural of “that.” It’s in a group called “determiners” along with “this”, “that”, “these”, “those,” “here” and there that are technically pronouns but often function more like adjectives. For C, D, and E, “those” is meant to mean something like “the ones” and could be used as a pronoun to replace a plural antecedent if there was one in the sentence, and if the construction was parallel. Noticing that your scores on your GRE practice test isn’t quite as high as you’d like? One quick way to get better GRE Quantitative scores is to increase your content-knowledge in the most-tested Problem Solving areas. Here are the top seven most-tested GRE Quant concepts to review; get these down and you’ll ace the GRE section! 1. Functions and Symbols. A function is a different way of writing an equation. Instead of y = mx + b, we’d have f(x) = mx + b. It’s helpful to think of a function as simply replacing the “y” with a symbol called “f(x).” The GRE may also present made-up symbol functions; pay attention to any definitions you are given, and expand accordingly. 2. Number Properties. 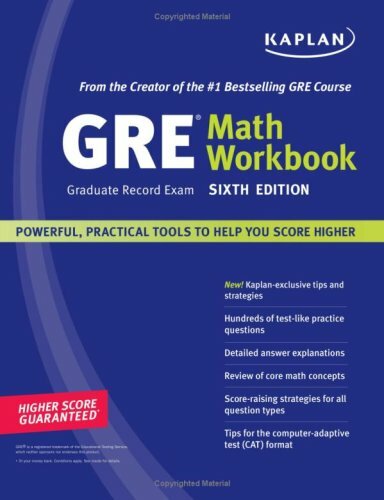 The properties of integers, primes, odds and evens, integers, fractions, positives, and negatives will all appear in various questions on your GRE test. The more comfortable you are with them, the more quickly you will arrive at the correct answer. This concept will bleed over into Quantitative Comparisons as well. 3. Plane and Coordinate Geometry. Not only will you need to know the standard equations for a line, parabola, and circle, but also you will need to memorize the distance formula, the midpoint formula, the slope formula, the relationship between slopes and the different quadrants, properties of parallel, perpendicular, vertical, and horizontal lines, as well as the quadratic formula/discriminant. For Plane Geometry, triangles are tested the most often on the GRE. You should know the Pythagorean Theorem, Triangle Inequality Theorem, the special right triangles: 45-45-90 and 30-60-90, as well as the properties of isosceles and equilateral triangles. Other plane geometry concepts to review include angles, circles, and polygons. Make sure you know how to find the perimeter and area of all shapes, and be comfortable dividing irregular shapes into manageable pieces. 4. Linear & Quadratic Equations. y = mx + b is the standard equation for a straight line, or a linear equation, where m is the slope and b is the y-intercept. You’ll need to know how to graph them and how to find the slope given two points. Quadratic equations look like y = ax2 + bx + c, and make a parabola, or curved line. Quadratics have two factors, and two solutions (also called “roots”). You will need to know how to factor quadratic equations to find the roots, how to find the quadratic if given the roots, and how to graph a quadratic on a grid given the equation. 5. Ratios and Proportions. A ratio is a relationship between two things. Given a ratio and one “real world” number, you can always set up a proportion to solve for the other missing “real world” number. Sometimes you will need to do this for similar triangles in Geometry, and sometimes in algebraic word problems. 6. Data Analysis. Data Analysis questions are like an open-book test. Make sure you read every tiny piece of writing on or near the data, including titles, the labels for the x and y-axes, column names, and even footnotes if there are any. Pay attention to the units of measurement, and notice any trends in the data BEFORE reading the questions.